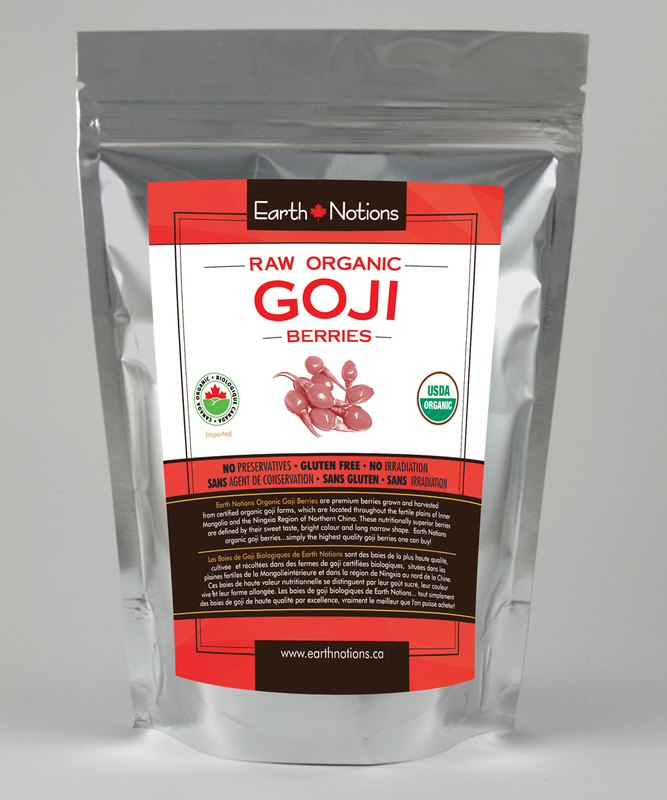 These sun-dried, deep-red, moist, delicious and nutritious goji berries are grown and harvested on certified organic goji farms on their native lands in northern China. 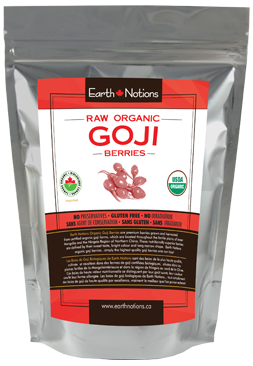 Nutritionally superior to all other berry-fruits, an excellent source of antioxidants, and versatile enough to incorporate into your daily diet with ease! Taste: Sweet. Like a cross between a cranberry and a cherry. 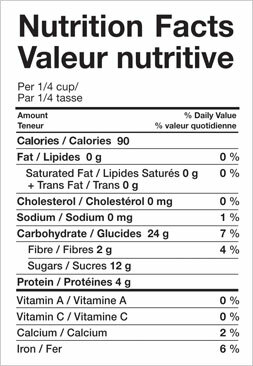 Valued for: Great source of antioxidants and key essential nutrients. 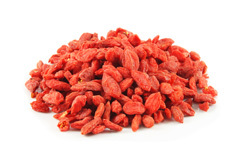 Ingredients: 100% Lycium barbarum (goji) fruit. How to Enjoy: Eat them by the handful straight out of the bag. Add them to your homemade trail mix (don't forget the cacao nibs!) Sprinkle them over your salads, yogurts, cereals, and granolas. Use them in baking and/or as a substitute for raisins, dried cranberries, dried cherries, or dried blueberries. Rehydrate them by soaking them in warm water for 5 minutes, then add them (including their soaking water) to your favourite smoothie recipe or to breakfast foods!